La Gavina, 4, 07410 Puerto de Alcudia, Spanje. 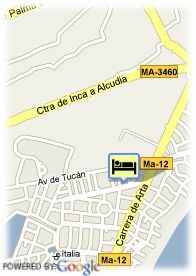 The Hotel Marina Delfín Verde is located in the Bay of Alcudia, just 300 m from the beach. The beach stretches out for several kilometres and is renowned for its fine sand and shallow waters that make this beach ideal for the whole family. Hotel Marina Delfín Verde is well known for the quality of its service, which has been recognised year after year through its awards. Hotel Marina Delfín Verde is a hotel recommended for families. It offers to its guests All-Inclusive board and a wide range of activities for every age group. The perfect atmosphere for a wonderful experience to be enjoyed by the whole family.